Gluten Free Pretzel Donuts rock the salty/sweet combo, complete with salted caramel pretzels and ALL THE SPRINKLES! 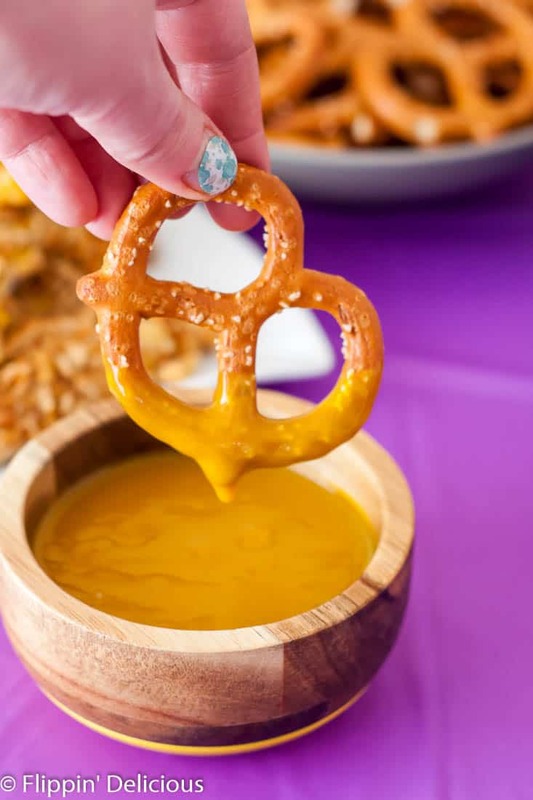 Fluffernutter pretzel dip, and honey mustard pretzel chicken tenders… Celebrate #NationalPretzelDay with a gluten free pretzel party! This post is sponsored by Glutino. As always, all opinions are mine and mine alone. I LOVE pretzels and hope that you will celebrate #NationalPretzelDay with us. I don’t know about you, but I LOVE celebrating all the obscure national food holidays. With the twitter-verse they are a lot less obscure, so I don’t feel self-conscious celebrating them because when a hashtag starts to trend, I feel like everyone is celebrating with me. 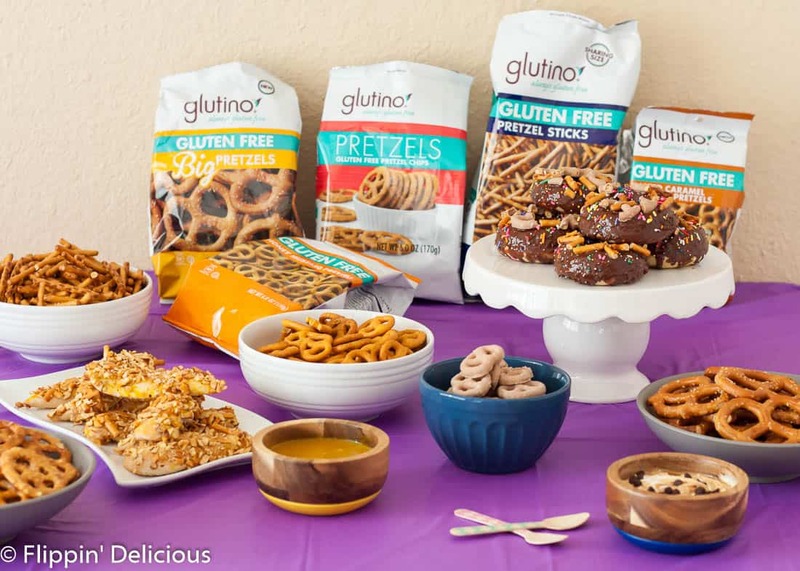 I was very excited when Glutino sent me some gluten free pretzels to celebrate #NationalPretzelDay with a #GlutinoPretzelParty. My family LOVES pretzels. They polished off the last bag of Glutino pretzels I had a week ago and they were bummed that I wouldn’t let them dig into the pretzels until we had our party. I was right to make them wait though, even with the huge spread of gluten free pretzels several bags quickly disappeared. I knew that I had to make some gluten free honey mustard pretzel chicken tenders. They are so fun to dip! I used the recipe that I made a few months ago, and I just used tenders instead of breasts. So easy! I used Glutino’s gluten free pretzel sticks, but I think it would be extra fun to dip them into Glutino’s Honey Mustard Pretzels. That would have really brought the honey mustard flavor to the next level! I made a dipping sauce by mixing equal parts yellow mustard and maple syrup. You could use honey instead of the maple syrup, I like it both ways. 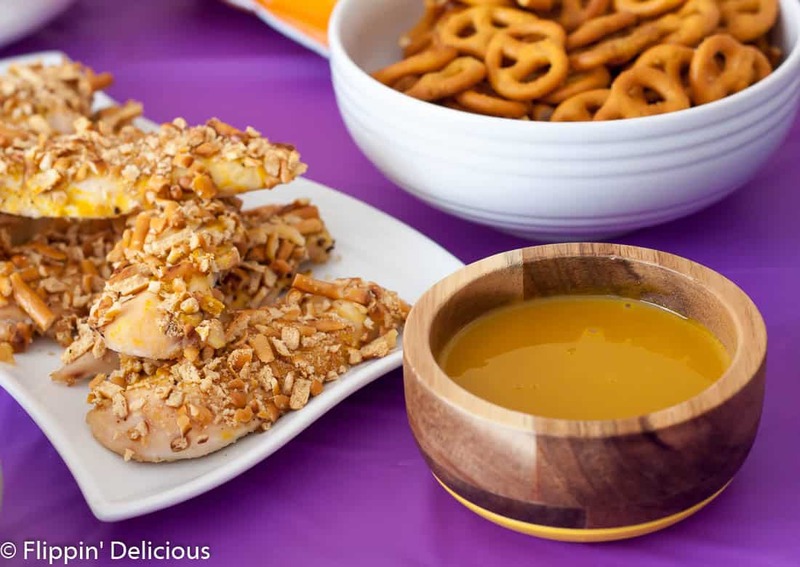 I loved dipping the gluten free pretzel chicken tenders AND Glutino’s BIG gluten free pretzels in it! And now on to the sweeter side of things… I love salty and sweet! I made a super easy fluffernutter dip by mixing together marshmallow fluff and peanut butter together in a bowl. I topped it with a few mini chocolate chips just for fun! these gluten free pretzel donuts! 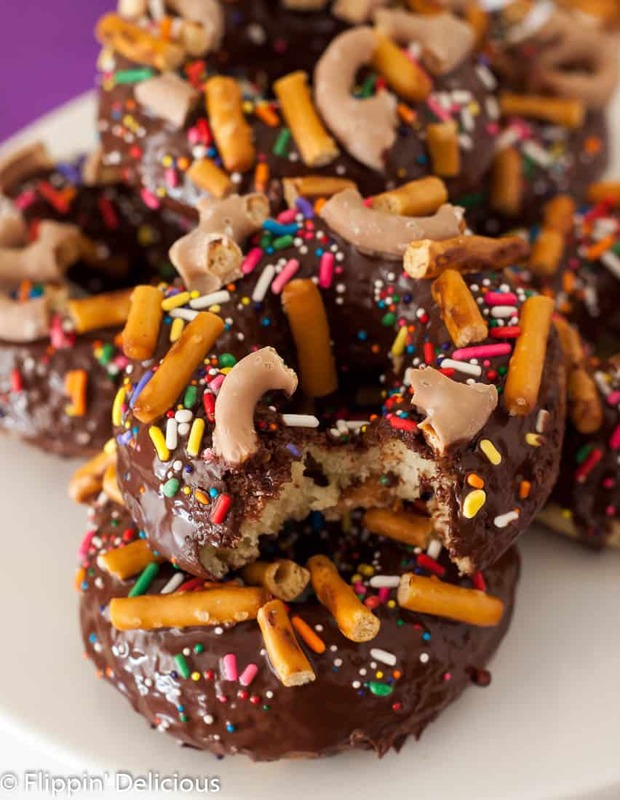 I was definitely inspired by chocolate covered pretzels when I made these gluten free pretzel donuts. I started out with an easy gluten free baked cake donut recipe. The batter is easy to mix up and the donuts bake for less than 10 minutes, making it a pretty accessible recipe. You do need a donut pan, but you can get one for less than $10 and I used mine all the time now. It is well worth it to be able to be able to enjoy safe gluten free donuts in the comfort of my home. I used brown sugar in the batter because I felt like it would compliment the pretzels. I also stirred in about 1/3 cup of broken gluten free pretzel sticks, but I left them out of the recipe below. I thought I should at least try it, and see if I moved quickly if I could get the pretzels to stay crisp. Even moving quickly, the pretzels ended up chewy. I still enjoyed them, but it wasn’t exactly the texture I was going for. I think next time I will try stirring in some broken chocolate covered or salted caramel gluten free pretzels. Maybe the chocolate covering the pretzels will help to keep them crisper? If you try it before me, be sure to come back and comment letting me know what you think! 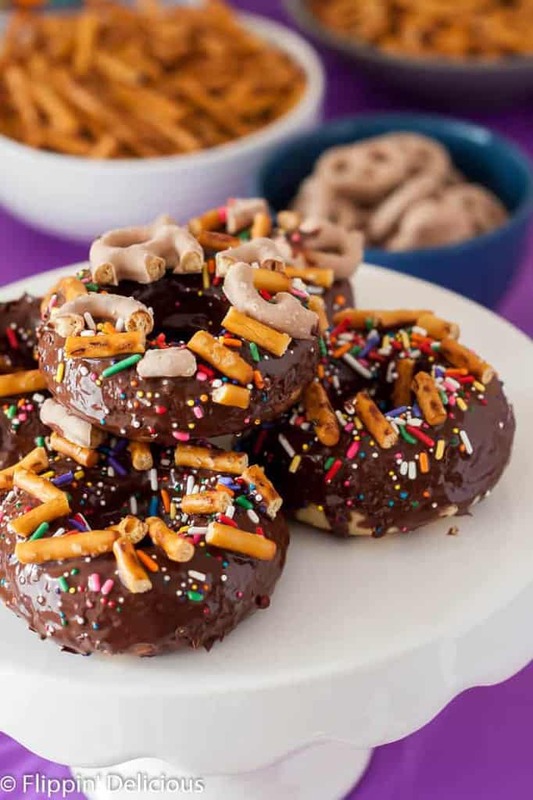 A quick dip in some chocolate glaze and then I covered my gluten free pretzel donuts in ALL the pretzels and sprinkles! 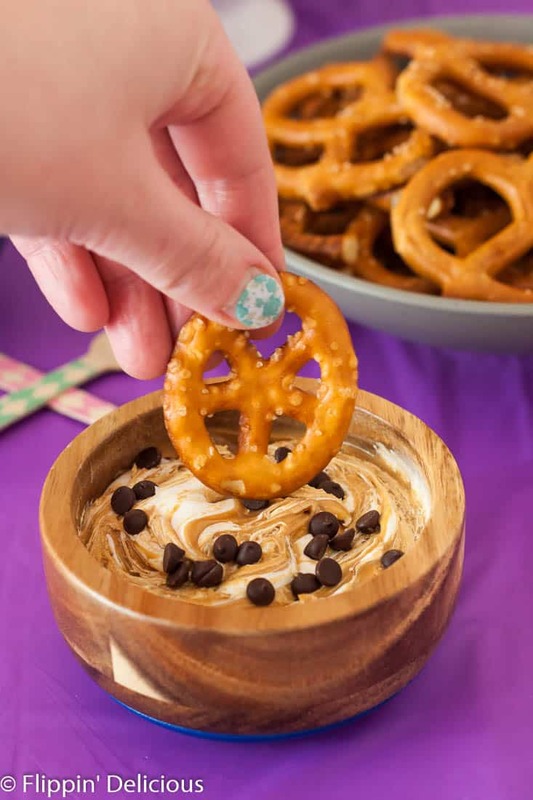 I broke up some of Glutino’s salted caramel covered pretzels and some of their pretzel sticks to cover the gluten free pretzel donuts in, but you can use your favorite shapes or flavors. The salted caramel pretzels really played up the salty/sweet combo! I then showered the gluten free pretzel donuts with a generous amount of sprinkles, because you know I LOVE sprinkles and they go on everything in our household. I added a little sprinkle of flaky sea salt too! For my dairy free hubby and toddler, I kept some of the donuts dairy free. I used almond milk in the gluten free donut batter and I used dairy free chocolate to make the ganache. I used more of the broken gluten free pretzel sticks instead of the salted caramel pretzels to keep the topping dairy free on donuts for them. Waiting for the chocolate glaze to set was torture! I just wanted to grab a gluten free pretzel donut and take a big bite! What are your ideas for celebrating #NationalPretzelDay ? Preheat the oven to 425F and lightly grease your donut pan. In liquid-measuring cup mix together the milk and vinegar and let sit for 5 minutes. In a bowl, whisk together the flour, xanthan gum, brown sugar, baking powder, salt, and nutmeg. Add the milk, egg, and vanilla and mix until combined. Pour the batter into a piping bag (or a sandwich bag with the corner cut off) and pipe the batter into the donut pan. Bake for 7-9 minutes, or until the donut springs back when you lightly touch it and a toothpick comes out clean. Let cool slightly before removing the donuts from the pan. In a microwave safe bowl, melt the chocolate chips and coconut oil. Let cool slightly. Dip each donut into the glaze (I dipped mine 2x) and then place on a cooling rack. 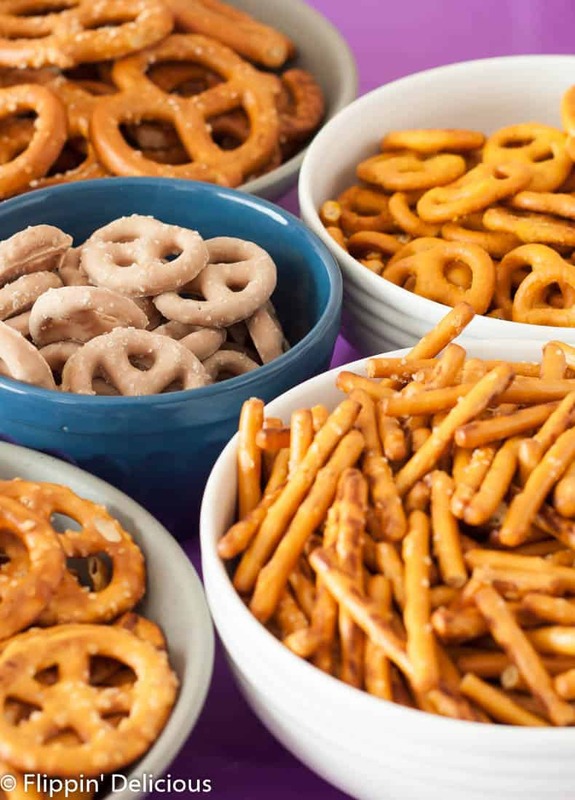 Before the glaze sets, decorate as desired with Glutino pretzels, sprinkles, and flaky sea salt. 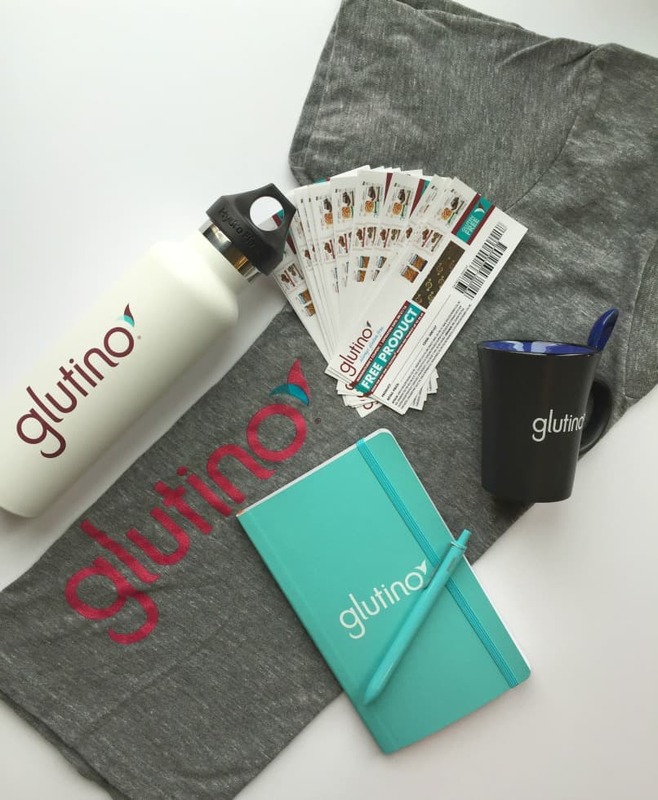 Don’t miss the goodies that Glutino is helping me give away! O my goodness! Those totally rock! Most fun doughnut! This reminds me that I NEED to learn how to make GF soft pretzels at home. I have an insatiable craving and every time I’m at the mall I cry when I walk by Auntie Anne’s because I wish they had GF. These look delish BTW!! I need to make GF soft pretzels! I have the same experience walking by Antie Anne’s. Gluten Free on a Shoestring has a GF Soft Pretzel Antie Anne’s copy cat recipe that looks amazing! Thanks Raia! I hope you and your family love them. I’m a sucker for sweet and salty. Good idea! Your pictures are gorgeous! These all look delicious! Brianna, what sort of evil genius are you? 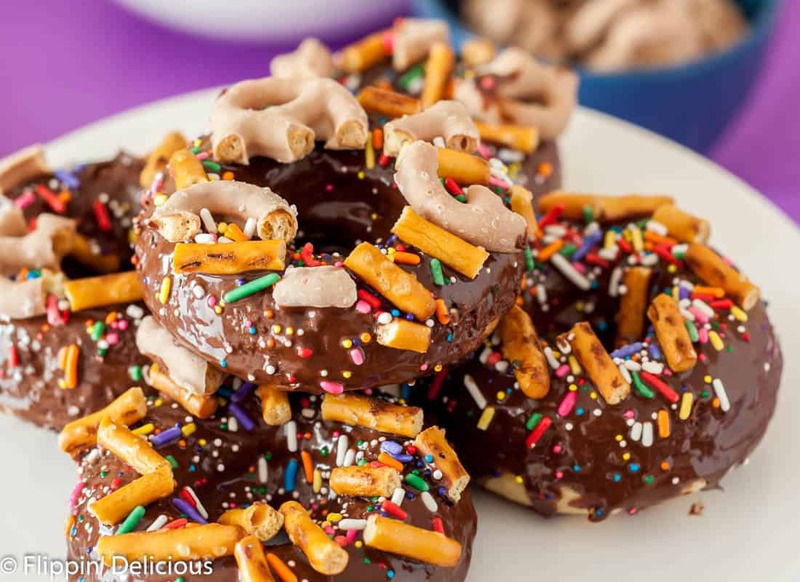 You’ve combined all the tastiest things: donuts, chocolate, pretzels. This is incredible. Can’t wait to try these and love that there’s a dairy free option. Thank you Sabrina! I can’t take all the credit, it was my hubby’s idea. Sometimes he really comes up with amazing things! fantastic! I love the salty and sweet combination! !